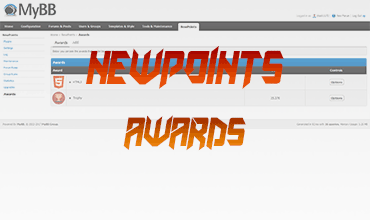 Newpoints Awards is an extension of the plugin OUGC Awards. It allows users to buy some awards with newpoints. You can choose which awards users can buy and set a reason which will be shown in the award list of the user.